As we mentioned on the top of the newscast, today Chester Williams was officially installed as the new Commissioner of Police. 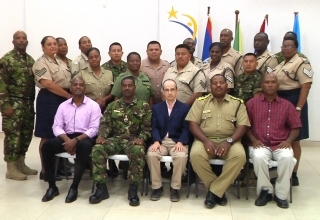 The ceremonial change of command and swearing in was held that the Police Training Academy of the Belize Police Department in Belmopan. 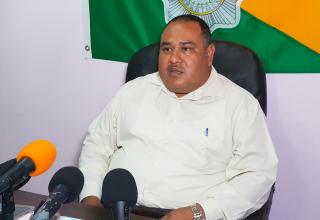 Commissioner Williams has been in the force for 27 years and has been a very openly public individual when it comes to his policing style and work. After 27 years, the 44-year-old cop has now reached the top of his career, a feat he says he never even imagined when he signed up. 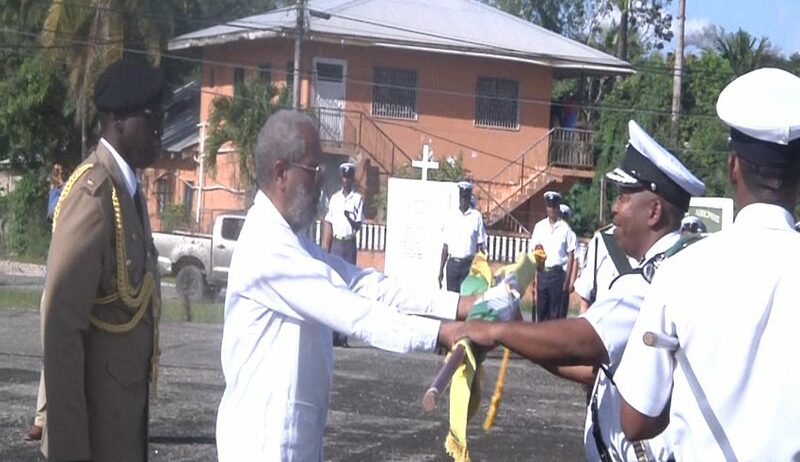 Retired Commissioner Allen Whylie handed over command in a special ceremony which was attended by a number of top figures in the department and the Ministry of National Security. And before he made the exchange, the former commissioner had some words of advice and encouragement for his successor. 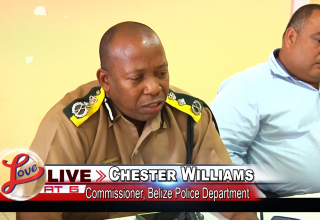 Allen Whylie: “ I would like to say to my friend and my successor and yes Mr. Williams is my friend for those of you think otherwise, he knows and I know that he is my friend that you are now the Captain of the prestigious organization the Belize Police Department. No man is an island despite how smart, intelligent or knowledgeable we believe we are. Refrain from using the term I too often but embrace the word we for to be successful it will require teamwork, build yourself a team who will be true and honest and not be afraid to beset or to have a different view regardless of rank or position. Do not be afraid to seek out council from whoever and from where ever because we do not know everything and do not be afraid to spread your wings and to soar like the eagle. It is only in doing that you will be successful and do not be afraid of failing as each time we fail we learn from it and we become better and we become stronger at what we do. To the men and women of the Belize Police Department change is apart of life and we should not be afraid to embrace change. Change brings uncertainty, challenges but it also brings opportunities. 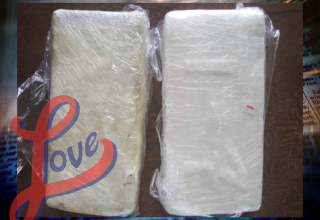 Do not be afraid of it and continue to hold your heads high, continue to be professional, continue to do the best possible job in service to the citizens and always remember that you are working for the good citizens of Belize. Most importantly support the Commissioner of Police as he embarks on the difficult journey ahead. I conclude by thanking you all for your friendship, your kindness shown to me over my 31 years of Government service. I wish Commissioner Williams as well as Sr. Officers as well as all rank and file and the Civilian Staff of the Belize Police Department well. 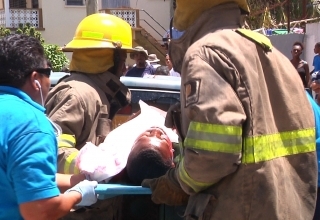 We will have more on today’s event in tomorrow’s newscast.